It's Time To Childproof Your Parenting! 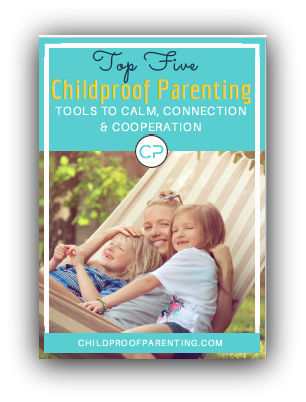 Are you ready to feel calm & connected to your child while gaining their cooperation? This course is for parents of 1-6 year olds who would like to get out of power struggles and stop yelling and instead have clear tools and strategies to nurture a loving and cooperative relationship with their child. Childproof Parents are empowered and confident in their day-to-day parenting and have time to care for themselves too. This course is for parents of 2-10 year olds who would like to find ways to inspire cooperation, end power struggles, stop yelling and instead have clear tools and strategies to nurture a loving and cooperative relationship with their child. Childproof Parents are empowered and confident in their day-to-day parenting and have time to care for themselves too. An Essential Part of Your Parenting Toolbox! ENCOURAGE HEALTHY EATING HABITS & BRINGING PEACE TO THE FAMILY TABLE! This course is for parents who would like to find ways to inspire cooperative eaters, enjoy meals with their child without power struggles, and have clear tools and strategies to encourage an adventurous eater. In addition we will explore the role of both parent and child in the eating & feeding process and how to meal plan with right sized portions for your child.